Take the Kona Brewery Tour or stop by the brewpub for a pizza and beer. It’s a definite to-do when visiting the Big Island list. It’s in the beautiful Kailua Kona town on the west side of Hawaii’s Big Island – a busy area where you can stop and take a break on your way to or from a day trip. One thing almost everyone agrees on: the beer is great. Kona’s fruit-infused beers have hints of lychee, pineapple, banana and coconut. IPAs are available, but so are plenty of mild options for people who don’t like hoppy beers. The sampler is a great way to get acquainted with the beers at Kona. The brewery offers four samples for ~$10. Many brews are only available on-site. Some of the most memorable are the smooth reds, fruity IPAs, coconut porter, lychee ale, and banana-bread-flavored porter. 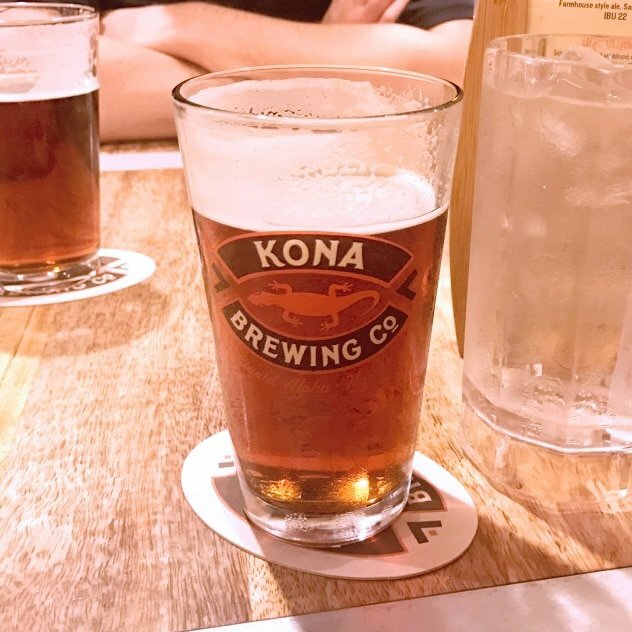 Kona Brewery is highly recommended by beer-enthusiasts and tourists, although some online reviews share that some menu items are hit-or-miss. Those people obviously didn’t try the pizza. Pizza is an art form at Kona Brewery. I’m a huge fan of homemade pizza, so I have high standards when it comes to eating pizza out. The crust is prepared with spent grain, which makes it a thick base to hold all the toppings, and also gives it a chewy bite. You can opt for a customized pie, but it’s pretty obvious they’ve done the pizza-topping-vetting for you. The arrangement of ingredients are somewhat unexpected. It’s like they took other things on their menu – sandwiches, salads, burgers, and seafood – and turned them into pizzas. The daily pizza slice of the day + salad combo is perfect for lunch. 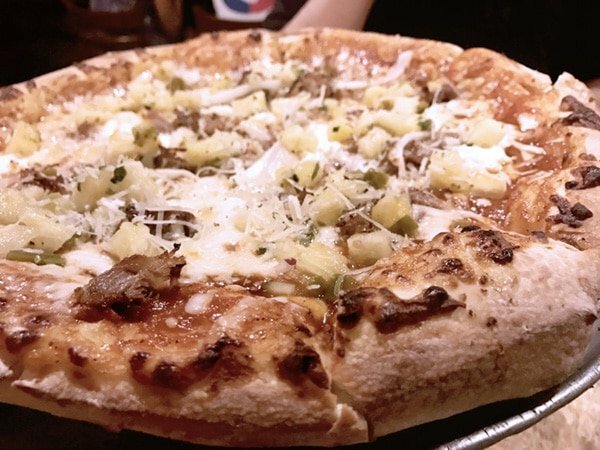 Many pizzas include their beer, Hawaii’s favorite meat (pork) and the most popular nut on the island (the macadamia). 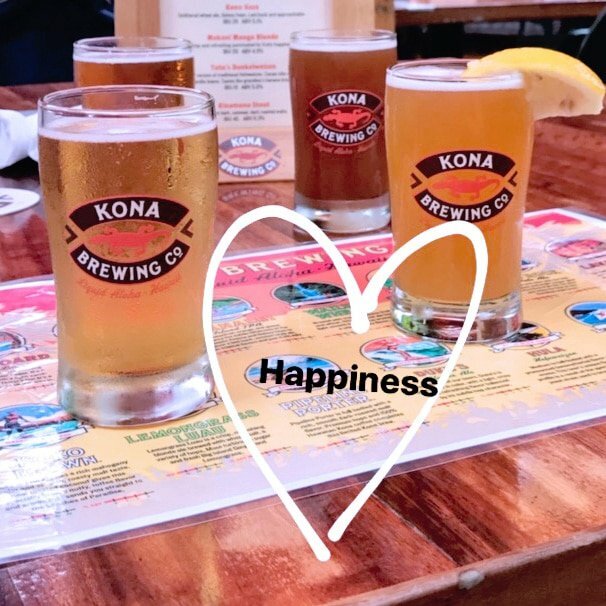 Kona Brewery tours are available daily. Beer to-go is available at the Growler Shack. If you’re going for total ambiance, check out the live music nights. Evenings are nice and warm in Kona. If you’re traveling to Oahu, you can check out the the Koko Marina Pub in Oahu. If you like tours, you might also like the Hula Daddy Kona coffee tour. Kona Brewery can be busy, because people like popular things and good beer. At the same time, it’s very welcoming to tourists. Cut down on the wait time and opt to sit inside, where you can sit near the kitchen to have a personal show of pizza dough as it’s tossed in the air, stretched, and topped. If you’re willing to wait, sit outside and enjoy the breeze from under umbrellas on the 2,000 square foot porch. Warning: the local birds seem to LOVE pizza and aren’t afraid of people. 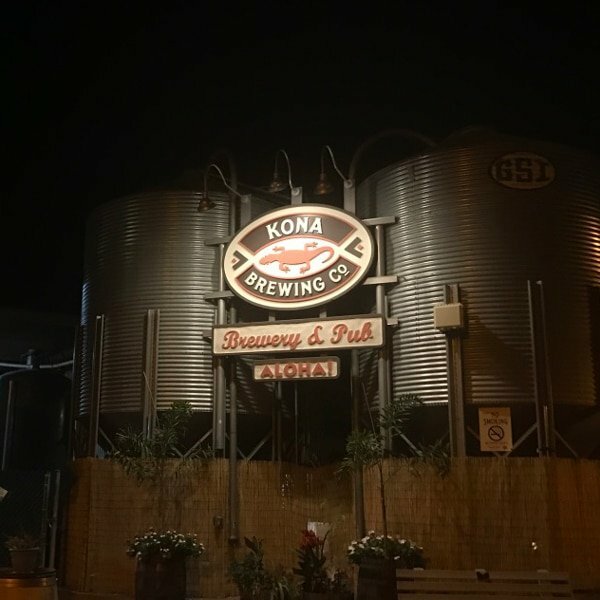 Approaching the 10 year anniversary, Kona Brewery plans to move into a larger brewpub next door in 2018. Looking for another Big Island activity? Take a Kona coffee tour at Hula Daddy or Greenwells.